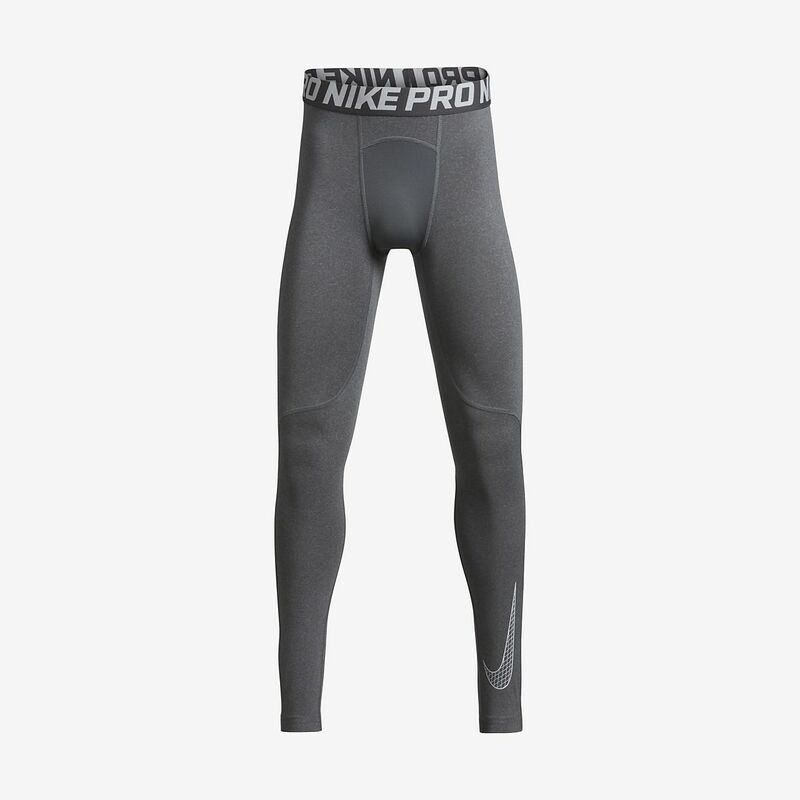 The Nike Pro Big Kids' (Boys') Training Tights combine sweat-wicking fabric and mesh panels to help keep you dry and ventilated at practice and under your game-day uniform. 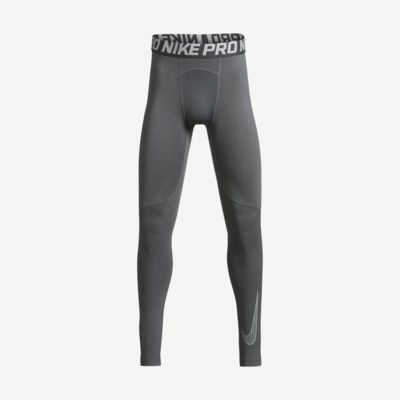 The Nike Pro Big Kids&apos; (Boys&apos;) Training Tights combine sweat-wicking fabric and mesh panels to help keep you dry and ventilated at practice and under your game-day uniform. Body: 90% polyester/10% spandex. Panel/Lining: 89% polyester/11% spandex. Wore one time and ripped in the knee. Not high quality. Purchased these in white and black for my 9 year old son. Within days both pairs had holes in the knees. The fabric is so thin and apparently tears easily.